Just so I don’t explain it incorrectly … would a Douugh customer in Australia be opening an account with Regional Australia Bank? Can you explain the arrangement to me in layman’s terms please? Correct, it’s ultimately a wholesale partnership. 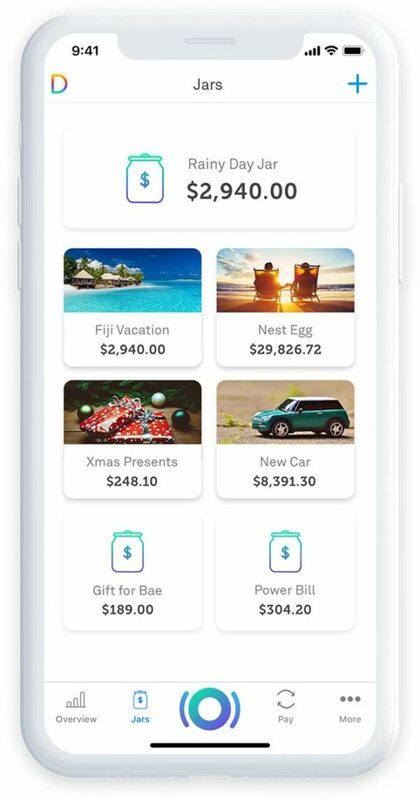 The Douugh branded bank account will be ‘issued’ by Regional Australia Bank on the backend, customers funds will be held by them, protected by the government guarantee on deposits upto $250,000. The entire customer experience is managed by us through our mobile app and customer support centre. This is a similar commercial partnership model to what Up has with Bendigo Bank. Meaning, we act as an ‘authorised representative’ of a bank, rather than getting our own banking licence. The partnership with RAB is very much the missing piece. The ability to offer a fully insured bank account and debit card means we can now launch in Australia. Do you expect HENRYs (High Earner Not Rich Yet) to migrate away from Big Four banks to Douugh? We do expect people to dip their toe in the water initially to test our technology and gauge the impact it will have on their daily lives. I think we will need to work hard to win the right to people’s salary deposits. We believe people will hold multiple bank accounts in the future. The battle ground is winning the right to the salary deposit and everyday expenditure. We do allow customers to connect their existing bank accounts and credit cards, so we can give them a 360 degree view to truly understand their financial position. This is where the strategy of becoming the ‘financial control centre’ for our customers becomes very important. Why do you think Douugh will appeal particularly to this demographic? We are razor focused on building a ‘smart’ banking experience that will change people’s relationship with money for the better – fostering financial wellness. People now expect transparency, insight, personalisation and autonomy. They want to understand the opportunity cost of their financial decisions today and what it means for their future, delivered through a seamless, intuitive and frictionless experience. Banks today do not offer this. They are analogue in their offering, and are not incentivised to offer this kind of service and business model, as they are bogged down by legacy systems and operational models, totally reliant on pushing traditional credit products to deliver short-term profitability, as opposed to generating positive financial outcomes for their customers, taking a longer term view. People are now aware of this (as exposed by the Royal Commission), and are looking to technology to help them. We believe this sentiment is consistent around the world. And is that the same for the US and Australia? Ultimately, it’s about understanding people’s emotional drivers. Money is one of the most powerful forces behind emotional state of mind, and the majority of people’s relationship with money is based on fear and anxiety. We plan to tap into this in a positive way and change the narrative, supporting and educating our customers to get ahead and achieve their goals. So, they can live happier and healthier lives. Rather than be bogged down, living paycheck to paycheck . This is where we see our AI assistant Sophie really playing a positive role and forever changing the game. Taking on the responsibility of a frictionless, autonomous money manager. Working on behalf of our customers to make money work for them, not the other way around. We believe this will have a major and lasting impact on society as a whole. This is the legacy I want to leave behind. Do you have any indication yet of likely demand for Douugh? We have strong demand in the US from the little marketing and PR we have done, with thousands of people signed up to our waitlist. We have started to raise our awareness in Australia via our partnership with Crowdfunding platform Equitise. We aim to build a foundation community. With thousands signed up on our waitlist so far. We will look to ramp up our pre-launch marketing efforts from here on in. Are we likely to see the Australian accounts open this year? Is there a sense of urgency with other neo banks on the scene? We are targeting a late Q4 launch this year. Yes the space is hotting up, and we are keen to cut our teeth in this market because it is our home, and we believe Australia (like the US), has a very big problem to solve in terms of the spiralling household debt levels and overall financial health. Importantly, we view Australia as a key strategic market for R&D purposes, as it is continues to lead the way in mobile payment adoption in the western world. Is it hard to explain to potential customers the unique selling point of Douugh versus other options? What is the main hook you think that will get people over the line? Not really, I believe it is much easier for us as we don’t need to get distracted by the fact that we are wanting to be a bank. Becoming a bank does not solve the problem. We have a much more succinct, purpose based marketing message and mission than other ‘Neobanks’. The hook is that we are looking to pioneer a new business model to make the world financially healthier through a proprietary software platform. We are helping people pay off debt, spend less, save and build wealth autonomously via a ‘smart’ bank account offering, powered by AI. The crowdfunding is going really well, demand is strong. We wanted to use it as a vehicle to attract a foundation customer base and community in Australia that are passionate about our cause and business. We see this as a better fit at this stage in our lifecycle. We are on a path to list on the ASX this year, this funding round will allow us to staff up to launch and scale the US business. How do you view the potential for Douugh in comparison to when you when you founded SocietyOne? We see much bigger potential for Douugh, as we are operating this as a global banking platform from day one, beginning in the US. The opportunity is obviously significantly larger as we scale up in this market and beyond. Everyone needs a bank account! We truly believe we can scale to reach 100 million customers by 2030 and we are motivated to show the world that Australia can produce world class consumer technology companies. Does this feel like unfinished business for you in any way, as SocietyOne came along with a mission to knock the majors off their perches. Very much so. I’ve always been driven to build a global consumer software company that structurally disrupts the status quo. The mission was always to provide consumers a better experience than offered by the banks, with a business model that is aligned to positive financial outcomes. With Douugh, we are building a product that is co-created with customers from a passionate community.